They say patience is a virtue and that good things come to those who wait, but when it comes to photography you wait too long and the shot is gone! 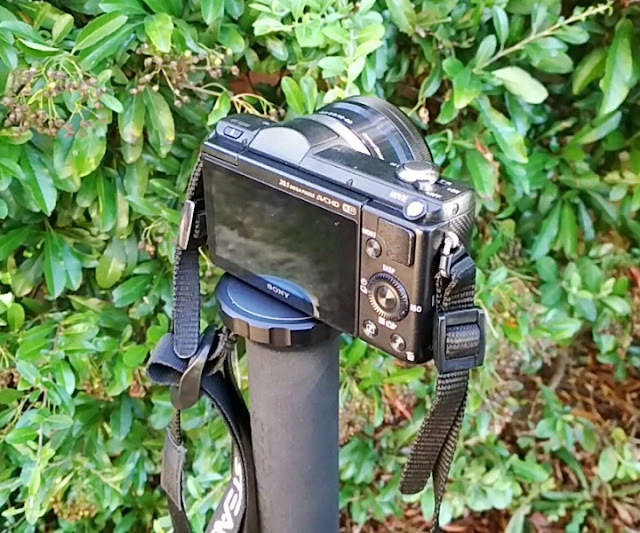 Photography is not like surfing or drinking Guinness so tick doesn't always follow tock especially when you are trying to capture real-time content shooting video, literary, while moving run and gun style! A skilled photographer is able to capture the best shots under any circumstances and with all kinds of restraints and conditions. 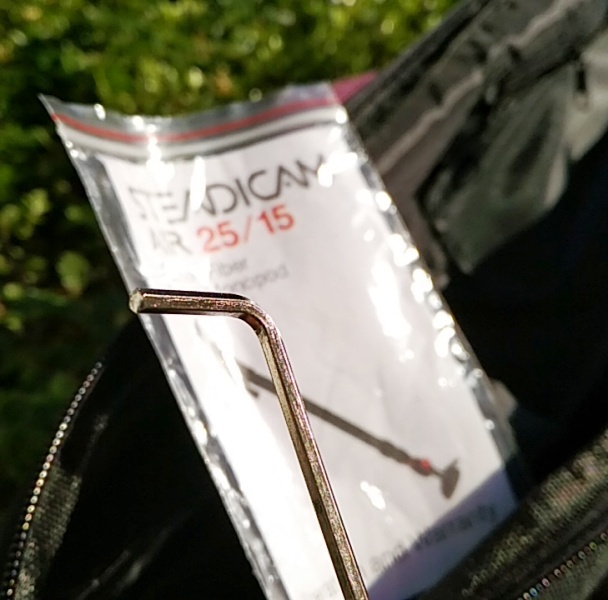 The key to capturing a once in a lifetime shot is to be ready and what better way to be ready than having equipment that can operate instantaneously like the Steadicam Air 15 gas-filled spring activated monopod. 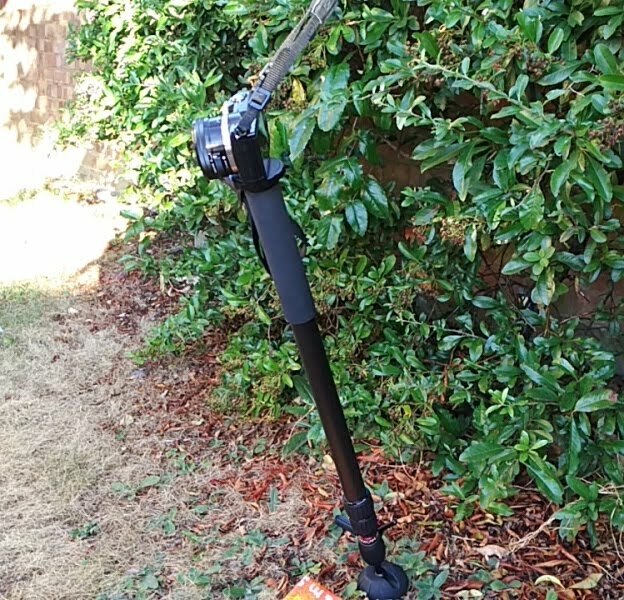 The Steadicam Air 15 takes the one-legged monopod from backroom overlooked photography equipment to center-stage equipment thanks to a clever bit of technology that lets you operate the monopod hands free via a foot pedal. 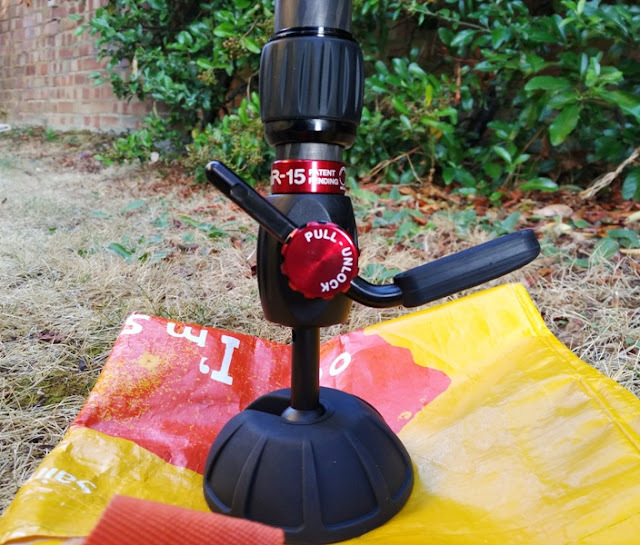 The height adjustable Steadicam Air 15 monopod works via a foot pedal that activates a gas assisted spring that instantly lifts the base of the Steadicam Air 15 monopod from 28 inches to a maximum height of 62.5 inches. 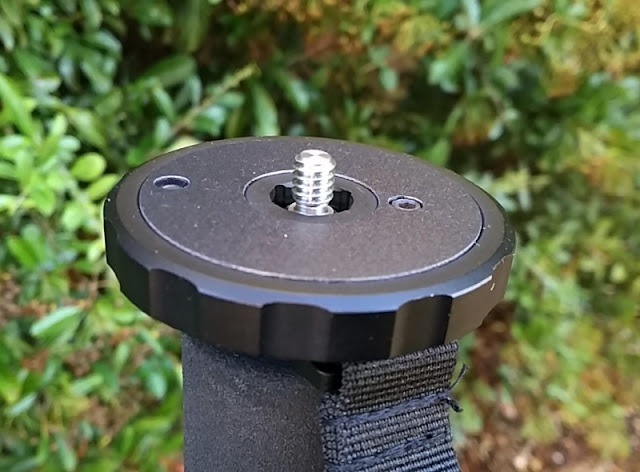 The gas spring integrated in the Steadicam Air 15 is able to lift and support your camera setup when releasing the food pedal lever. The entire lifting operation moves quietly and smoothly up and down. 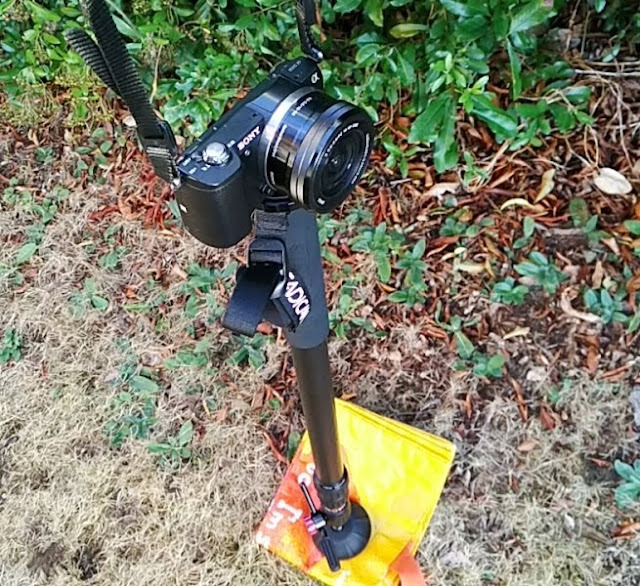 You can keep the height of the Air 15 monopod at any height position you want by pushing on the foot pedal lever to make slight height adjustments until you get to the desired height you want to shoot. 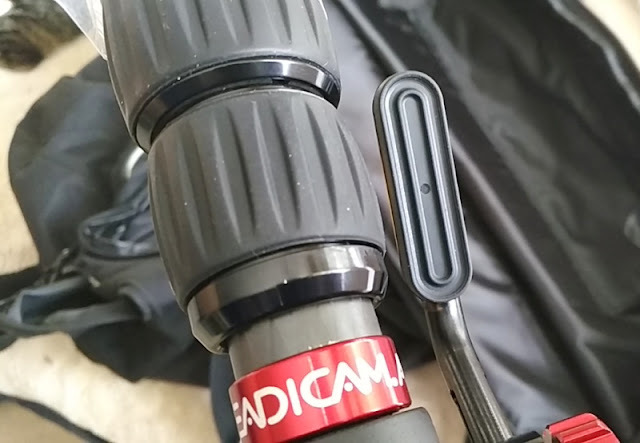 The Steadicam Air 15 monopod is not specific to one height so you can adjust, let go and it stays in that position which is nice. 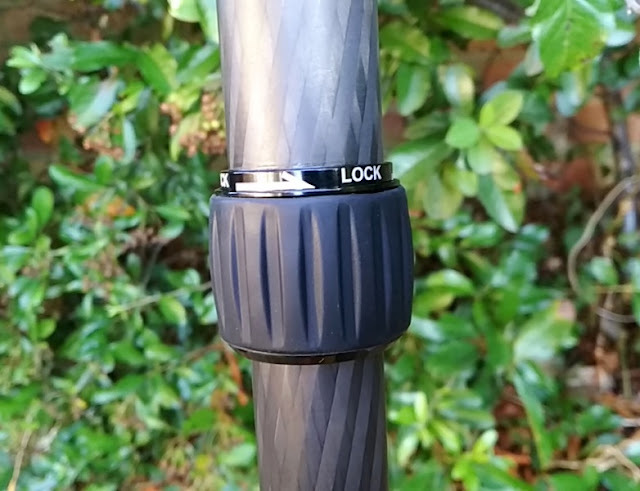 Monopods have been as they are for years so the integration of the gas pedal changes the functionality of the classic monopod for the better, including faster speed of control, easier to use and quicker to setup. 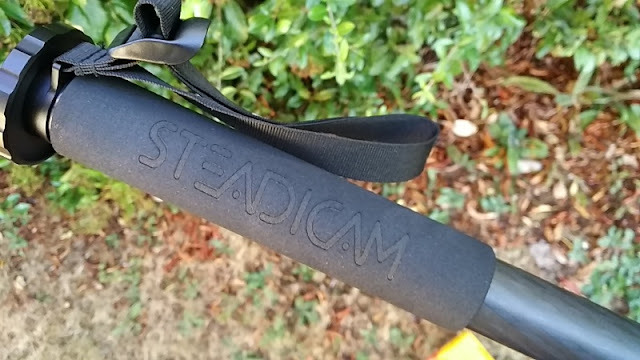 Sports photographers and wildlife photographers will find the Steadicam Air gas lift monopod particular useful as you can stand low and quickly go straight up to shoot standing up. 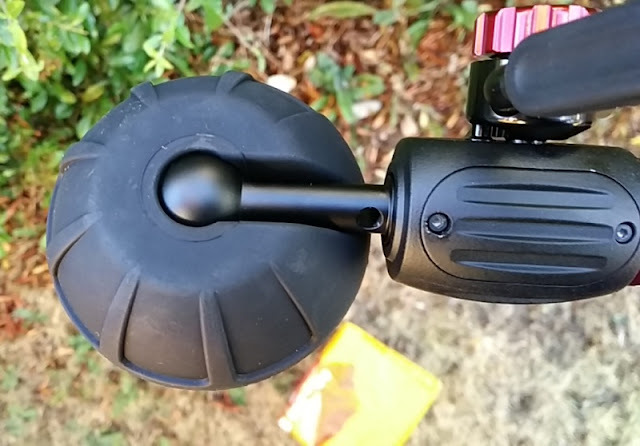 Another neat feature up the sleeve of the Steadicam Air 15 is 360-degree twist lock built-in to the top handgrip section that lets you rotate your camera 360 degrees of a circle without moving the base of the monopod. 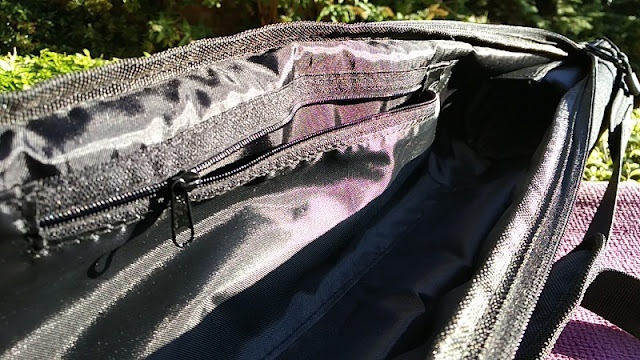 There is also a safety feature built-in to the foot pedal mechanism that prevents the gas-filled spring to be activated by accident. 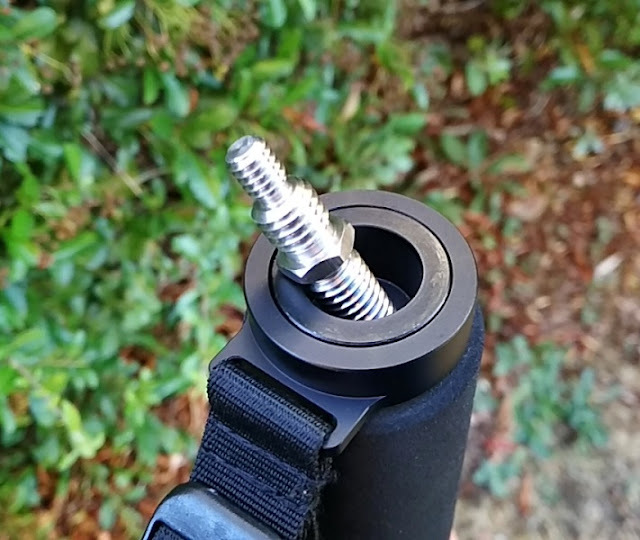 To operate the monopod, you need to grab and pull outwards the foot pedal mechanism and twist it into clockwise locking position to activate the gas-filled spring. 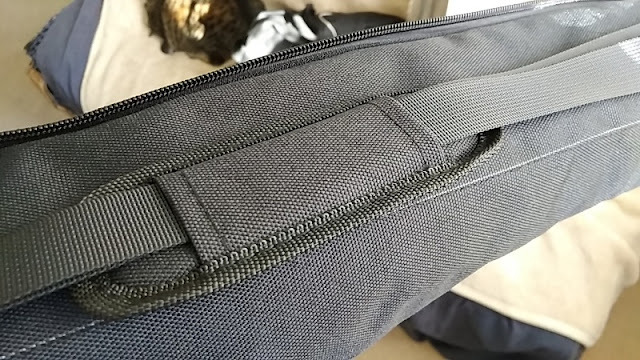 When you are done using the Steadicam Air 15, simply grab and pull outwards the foot pedal mechanism again and twist anti-clockwise to lock the foot pedal mechanism. 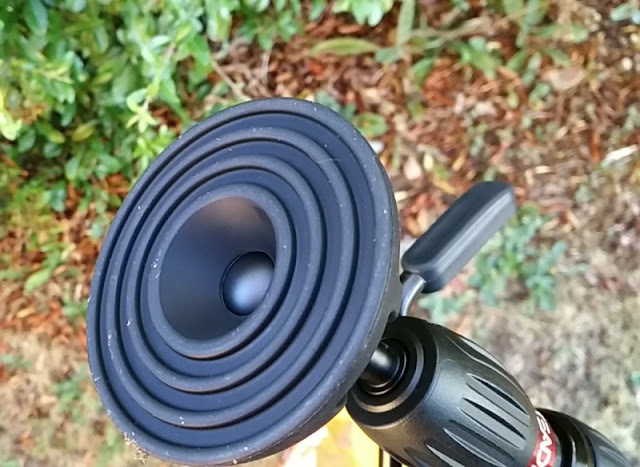 So simple, it's genius! 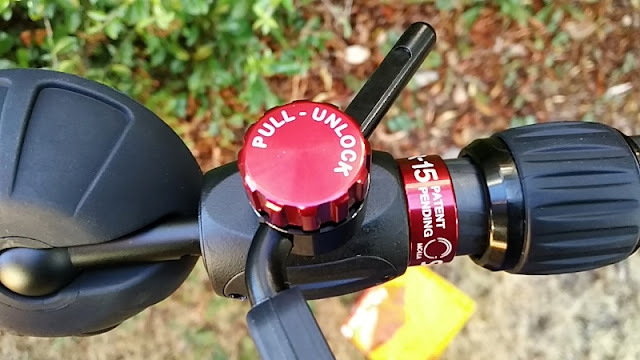 While the Steadicam Air 15 is gas powered, there is one section you have to adjust manually and lock into position via a twist lock. 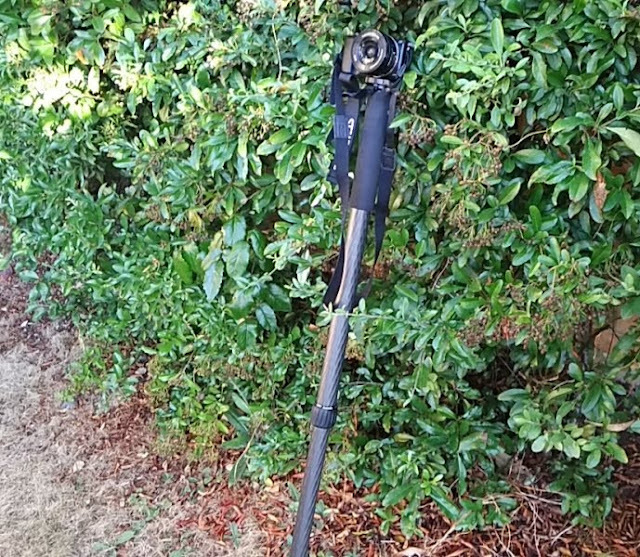 From that point on, you can operate the Steadicam Air monopod hands free. 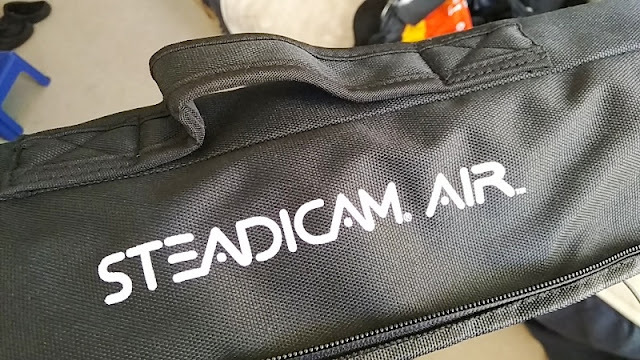 Steadicam Air 15 is able to lift and support up to 15 lbs of camera gear so the Air 15 is compatible with a wide range of cameras including Sony FS7, Canon C500, Sony F5 and Sony A5000. 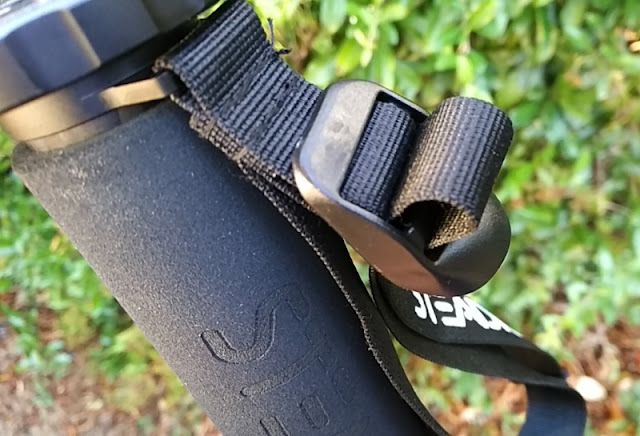 The foot pedal lever of the Steadicam Air 15 is rubberized for grip and can be also adjusted up and down to fit different size feet. 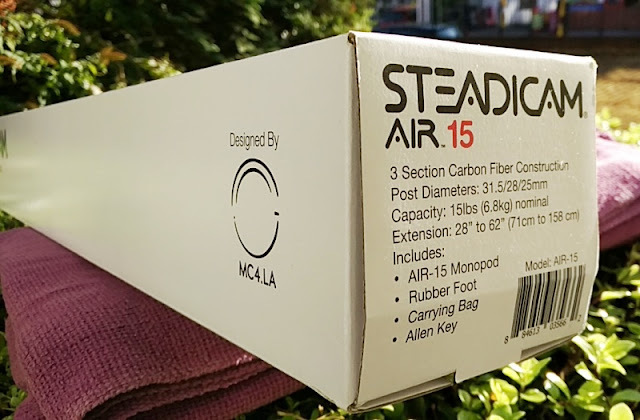 The main material used in the construction of the body of the Steadicam Air 15 is carbon fiber, which is stronger and stiffer than graphene and diamonds, yet super lightweight. Talking about body, the Steadicam Air 15 is made of three sections with one twist leg lock that you raise manually. 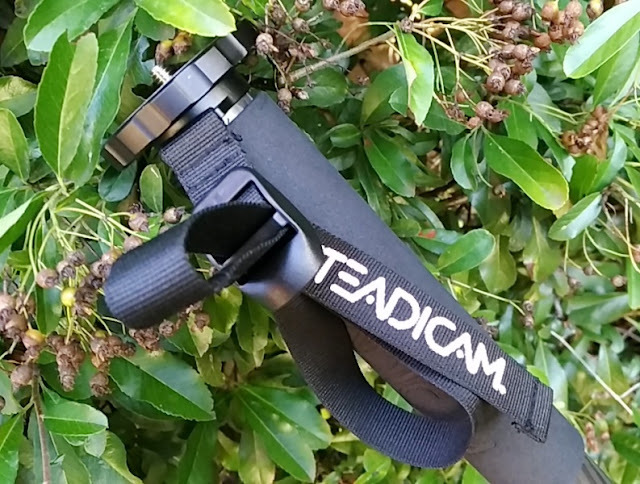 The Steadicam Air 15 features a reversible 1/4"-20 and 3/8"-16 screw to attach a ball head or mount directly to a camera's 1/4" -20 tripod mount. 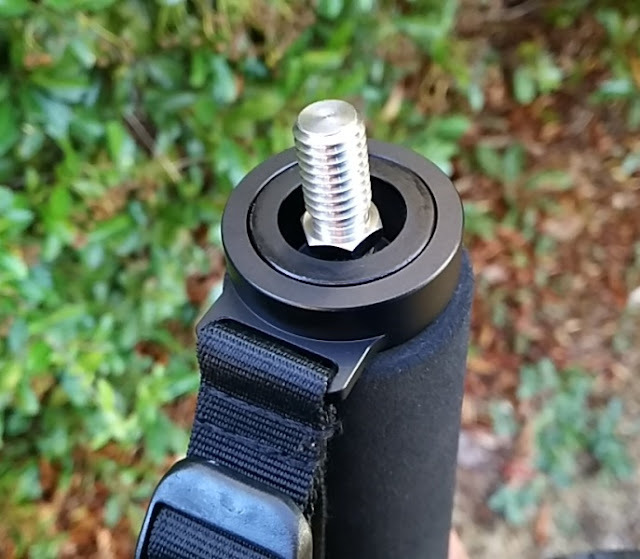 The base of the reversible screw plate is made of aluminum and comes off effortlessly when unscrewing the screw thread. 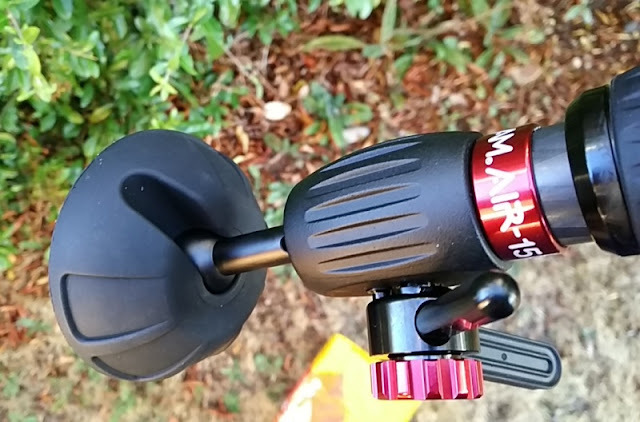 The Steadicam Air 15 has an oversized rubber foot for extra stability that measures 3-inches across and 3 inches tall. 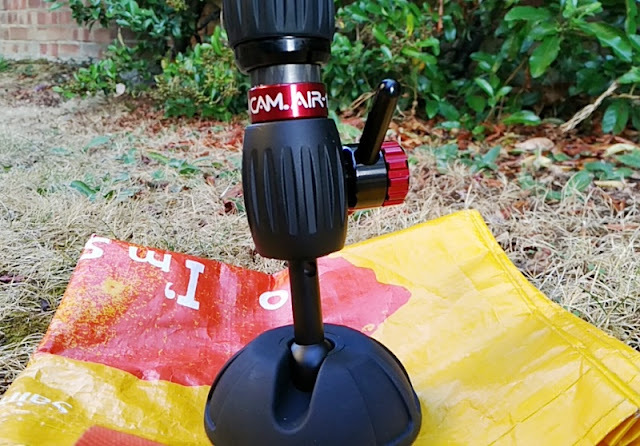 The rubber foot is connected to an aluminum ball joint and can be folded inwards for transportation. 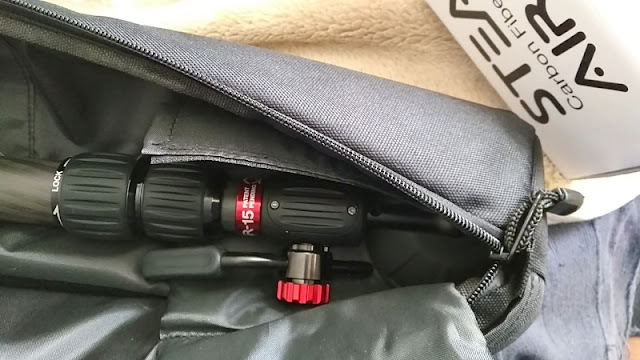 Included with the Steadicam Air 15 foot operated monopod is also a small allen key and a neat travel bag to keep and store the Steadicam Air. 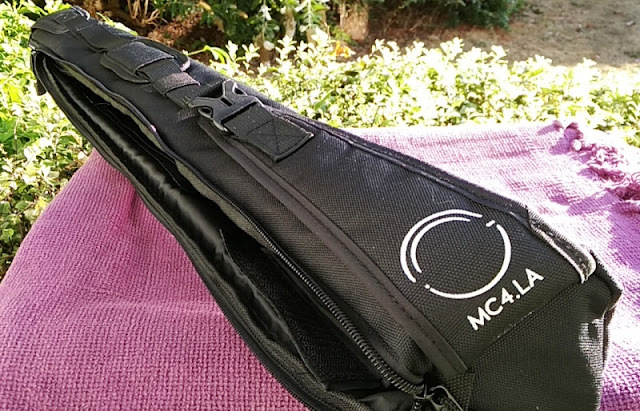 The Steadicam travel case features a padded shoulder strap and hand grip with strong and hard wearing stitch.